Ranveer Singh was born on 6th July 1985. He is a Bollywood actor who made his debut in 2010 with Aditya Chopra’s movie ‘Band Baaja Baaraat’, and won the Filmfare Award for best male debut for the same. He is best known for his quirky attitude and dressing style. He is also the recipient of several awards, including two Filmfare Awards. He is among the highest-paid actors in the country and has featured in Forbes India’s Celebrity 100 list since 2012. Ranveer established himself in Bollywood starring in three films directed by Sanjay Leela Bhansali, beginning with the romance “Goliyon Ki Raasleela Ram-Leela”. He gained critical acclaim for portraying Bajirao and Alauddin Khilji in Bhansali’s period dramas Bajirao Mastani and Padmaavat, respectively, winning the Filmfare Award for Best Actor for the former. These along with the action film “Simmba”, in which he played the title character, rank among the highest-grossing Indian films of all time. Singh is married to Deepika Padukone, his co-star in the Bhansali films. 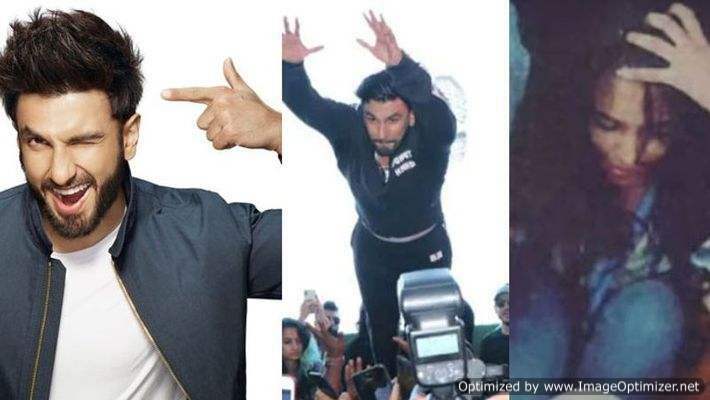 We all know that Ranveer Singh is known for his highly energetic personality but this can be very infectious and also a little dangerous at times. 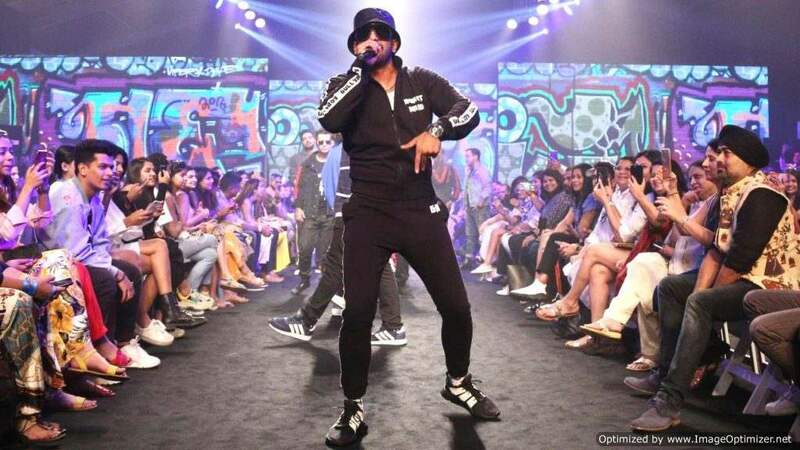 The “Gully Boy” star was at a Lakme Fashion Week event in Mumbai on Sunday where he was performing to the songs of the upcoming film. 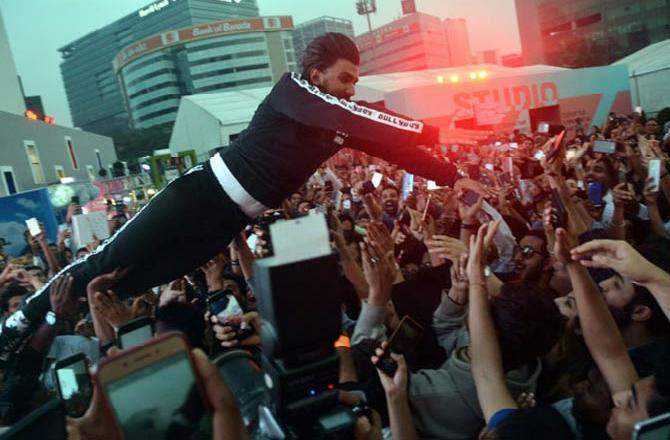 After completing his set, Ranveer jumped into the crowd in a want to do something cool for his fans. However, he ended up hurting a few. He is an actor who enjoys a massive stardom which has only increased with his recent releases. But his promotional tactics for his upcoming movie “Gully Boy” went horribly wrong, leaving many annoyed and pissed. Ranveer, who has started being a part of public concerts as a promotional strategy for his next movie in which he plays a rapper, recently decided to spring into a performance at the ongoing Lakme Fashion Week. But it went disastrously wrong when people in the audience got hurt and he received flak for the same on social media. However, Ranveer Singh has gone ahead and apologized for it. Readers may be aware that during the song launch held at Byculla, South Mumbai, he performed the same jump and it turned out to be a successful one. Despite, in the lakme fashion week event , things got quiet wrong and this one received a lot of backlash on Twitter, as fans went on to call out Ranveer Singh for his alleged amateurish behaviour. Comments like ‘Grow Up Ranveer Singh’ etc. started doing the rounds and one of the considerate fans of the actor decided to make the Gen Y star aware of this conversation on social media. He apparently DM’ed (directly messaged) Ranveer on Twitter regarding the ongoing slamming that happened on Twitter, followed by which Ranveer Singh apologized to all his fans on the same platform. He said, “I will be mindful henceforth. Thank you for your love and concern.” The said fan shared the screenshot of Ranveer’s reply on his Twitter handle.